I myself stand for the school of the Jain approach for the reasons reading the Indus symbols given so far in the above 30 sections – and more to come. Sites like the Shrawana Belagola hills, the hills around Madurai and the hills of Kerala show an abundance of Indus heritage with Jina remains prominent – though regrettably continuously damaged intentionally. 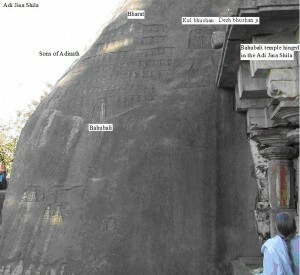 It would be self-explanatory if a team of Indus students visits such remote and neglected sites laying open for survey and study, and make their opinion about the messages available there like the Adishila seen here on Vindhyagiri of Karnataka. Through this essay we have presented and discussed a new school of approach applied to decipher the Indus script which is a hundred percent supported by archaeological and epigraphical observations and evidences, having scriptural and traditional religious reflections. We have produced a Sign and Text Lexicon for all possible Indus signs that can be applied uniformly to read the Indus message seen wherever by the decipherers metaphysically, scientifically and logically, against the so far applied earlier four methods: The Vindhyagiri and Chandragiri rocks of Sravana Belagola of Karnataka show an enormous carpet of rock inscribed Indus texts and keys evidencing the Adi-shila as the Seed Indus Rock. This Jina heritage site gives several keys laying open to the readers of the Indus script and to follow the Jain school of approach as basis for further study. Marshall read 200 tablets with the help of Sumerian correlated to Brahmi. Hunter, G.R. worked on 518 texts from Mohenjo-daro and 243 from Harappa applying prevailing languages. Boolee and Weddell considered Indus resembling Egyptian, Kretan and even Urdu. S.R. Rao, M.S. Mishra, B.V. Subbarayappa and many more took a Rigvedic approach. M.J. Shendge and R.N. Dandekar saw pre-Rigvedic influences, William (1966) and Heinrich Zimmer (1956), Prof. M.S. 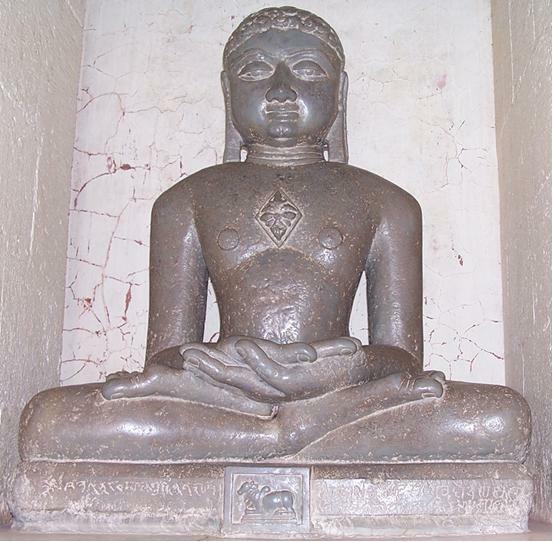 Ramaswamy Ayangar opined that some of Jain elements might well be traced to the Indus Valley Civilization in the 3rd millennium BCE. Many Western and Indian scholars regarded the Indus culture as influenced by Dravid culture, while many others such as Asko Parpola, J.P. Ghosh and Andrew Robinson tried to give phonetic values to Indus signs. But the mystery remained unsolved because they were in reality ethical themes of the Jina shraman heritage which can now be read meaningfully and completely, at last.